24 Aug 2018 it will be seven years from the time when Steve jobs resigned from the post of General Director Apple, reports MacRumors. 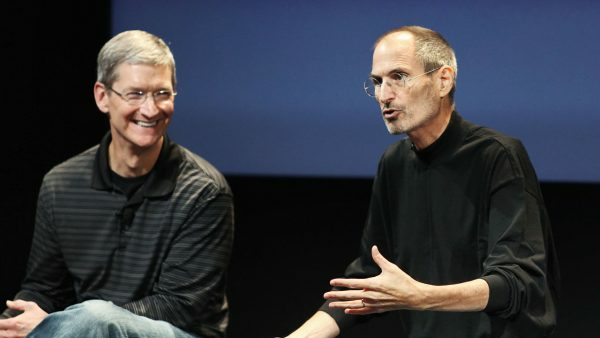 In a letter addressed to the Apple Board, jobs strongly recommended to appoint the head of the company Tim cook. At that time he held the position of Chairman of Apple’s Board of Directors. I have always said that someday the day will come when I will no longer be able to perform their duties and expectations as Apple CEO. I’ll be the first to tell you about it. Unfortunately, that day has come. In this letter I resign from the post of Apple CEO. If the Council deems it appropriate, I would like to continue to work as Chairman of the Board of Directors. Regarding my successor, I strongly recommend to execute the plan and appoint Tim cook as CEO of Apple. I believe that ahead of Apple’s brightest and most innovative days. And I look forward to the opportunity to observe and contribute to its success in a new role. I made some best friends in my life at Apple, and I thank you all for the years of joint work. The Board of Directors approved the request of Steve jobs, and Tim cook was appointed the head of the company. Jobs himself took over as Chairman of the Board of Directors. Until his death on 5 October 2011, he was one of those who made strategic decisions at Apple. MDlavka — our store for your favorite readers. Technology Apple for the most pleasant prices are waiting for you every day from 10:00 to 21:00. Readers Macdigger.ru discount.